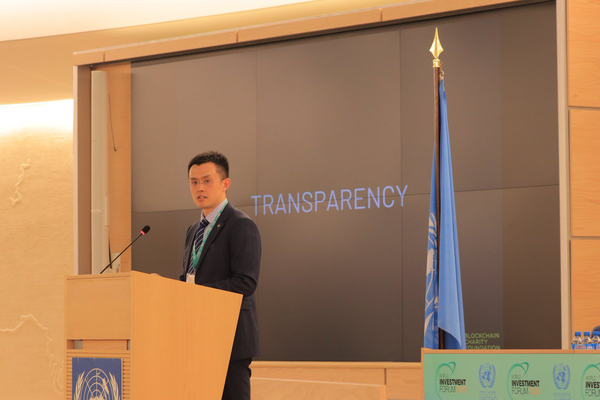 Changpeng Zhao introduced today the Blockchain Charity Foundation at the United Nations’ World Investment Forum in Geneva where Zhao said blockchain can bring transparency to charity. He said many were reluctant to donate because they do not know how their funds are spent, with 80% of donations not reaching the beneficiaries. He shared the story of how about $1.5 million worth of crypto was donated in aid of thousands of people following a flood in Japan. It all started with one tweet, he said. Then people across the world donated crypto, with Binance manually distributing the funds through partners. A report describes how crypto donations eventually reached the end beneficiaries, with the blockchain process for now seemingly ending at the point of funds sent to the charity partners. 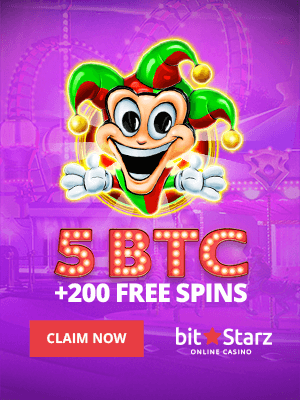 “We got all of them to open crypto accounts, next step is push crypto all the way to the end beneficiaries,” Zhao said. 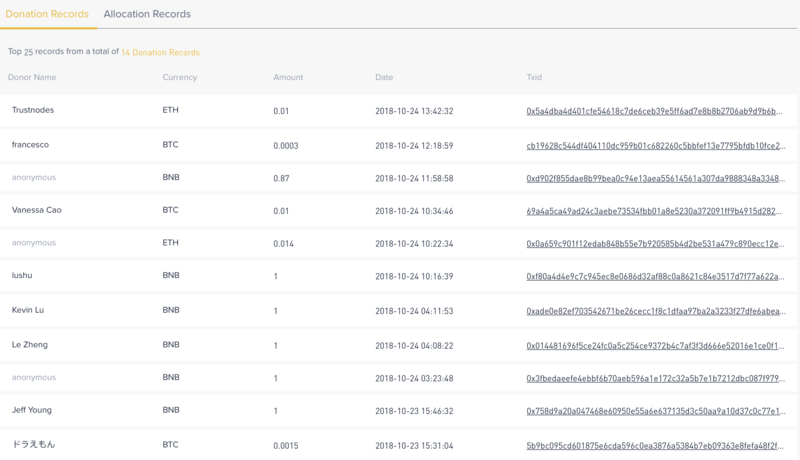 We naturally tried this new crypto donation method, and the process is as smooth as just sending a crypto transaction. We first choose whether we want to donate anonymously or openly. Then we have to choose between bitcoin, ethereum, and Binance’s own token, BNB. We went with eth. After the cryptos are sent, you enter the transaction ID so that they can attribute the transaction. We’re now very much done, with a donors’ page seemingly automatically updating to instantly display our donation. Naturally we tracked where this money was going. So far, it seems they are being pooled into one address. 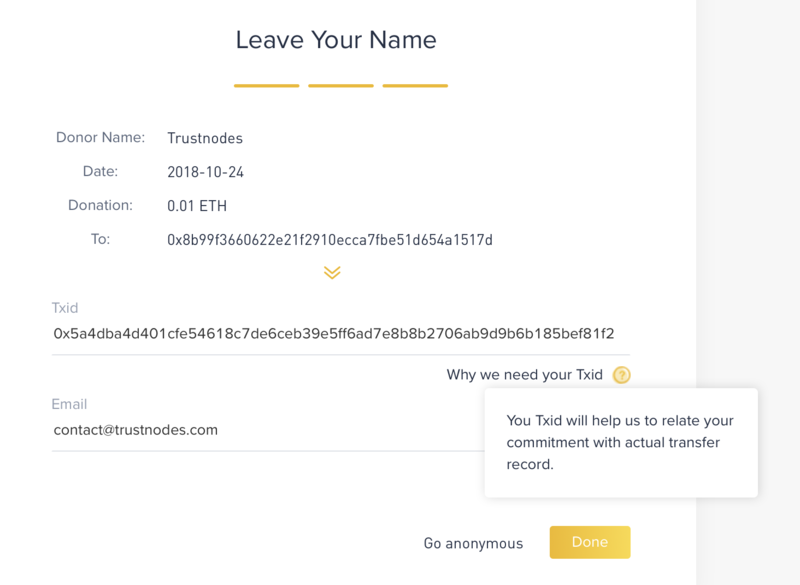 All the different eth donations are sent to an eth address, same for BTC and so on. Arguably you can just donate to that address directly, just like you can send crypto to any address from your own smart wallet. What will happen after, we do not know because there are currently no allocation records, but presumably Binance will eventually transfer the crypto to a charity partner where the blockchain aspect ends as they usually have to turn them into fiat. We therefore have partial transparency so far. We can see how much is being donated, and for those who do so openly we can see what transactions they make. We made our small donation through the address reserved for test-runs (like the one above), so we don’t mind people seeing what we are doing there. If one wanted to, however, they can just send the funds without revealing who they are. That means blockchain transactions can be fully transparent if one wants, or not transparent at all. As this is charity, where transparency is desired, then the receivers of funds may want to reveal themselves. Peace Winds, for example, can put a blockchain address on their website, allowing all to see how they’re moving their funds, including when they turn them into fiat and which exchange they use. Once they go into fiat, then transparency becomes more difficult. Just as end to end transparency would be fairly difficult. One way that would work is by giving the crypto directly to the end-beneficiary, but whether the end-beneficiary is charity worthy wouldn’t be easy to establish, especially if we’re speaking of thousands of individuals. Meaning that, at least for now, there is only a partial increase in transparency, but the main benefit of course is that some starving children will hopefully get more food than previously thanks to cryptos. Zhoa says one reason why cryptonians may want to donate is to increase crypto adoption, with giveaways being a fine part of crypto history that continues with airdrops. 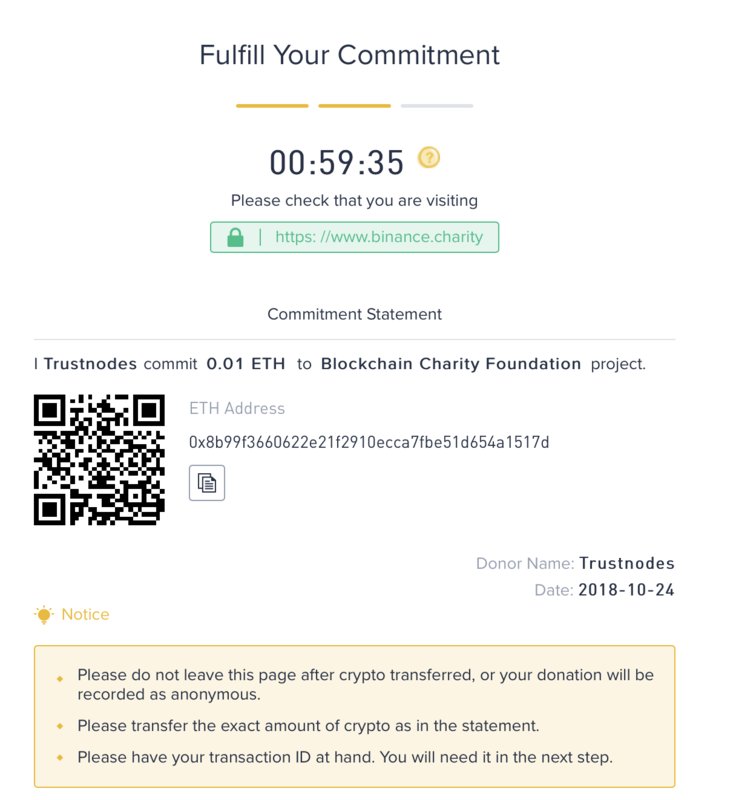 Many cryptonians moreover may want to distribute some of the crypto gains, with options like the Blockchain Charity Foundation now being an easy way to donate.